Lenovo re-released a mid-range phone with a top class specifications. This time, turn the Lenovo S650 is prepared to challenge his opponents in the competitive world of smart phones are very tight. With a price of only $ 246 or approximately Rp. 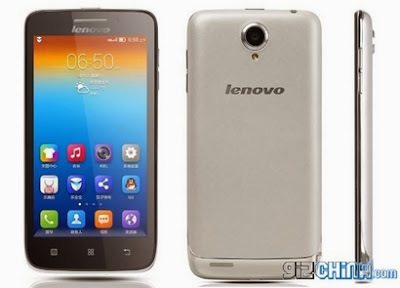 2.6 millions, Lenovo S650 is equipped with a quad-core processor speed of 1.3 GHz Mediatek MT6582 supported by 1 GB of RAM. In the display sector, Lenovo pinned with a screen measuring 4.7 inch QHD resolution, the screen itself is equipped with Gorilla Glass protection. Lenovo S650 also carry 8GB of internal memory, a powerful 8-megapixel main camera and a 3 megapixel front camera. No lag, typical Lenovo support dual SIM phone is also available with this 2000mAh battery powered. Interested? We look forward to it presence in Indonesia.